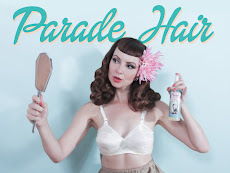 Miss Happ Rockabilly and Pin Up Clothing: Miss Happ is looking for promo gals! Miss Happ is looking for promo gals! Enjoy having fun & aren't afraid to be noticed? Miss Happ is looking for 2 promo girls to work on Sunday, 3rd Nov from 12-4pm at the CAPE CLASSIC CAR SHOW. Must be able to do your own hair and make-up, clothing & accessories will be provided by us. Please email us with a recent photo, contact email and cell number!